Butter Battle Royale- Cookie Edition | I Wanna Bake! 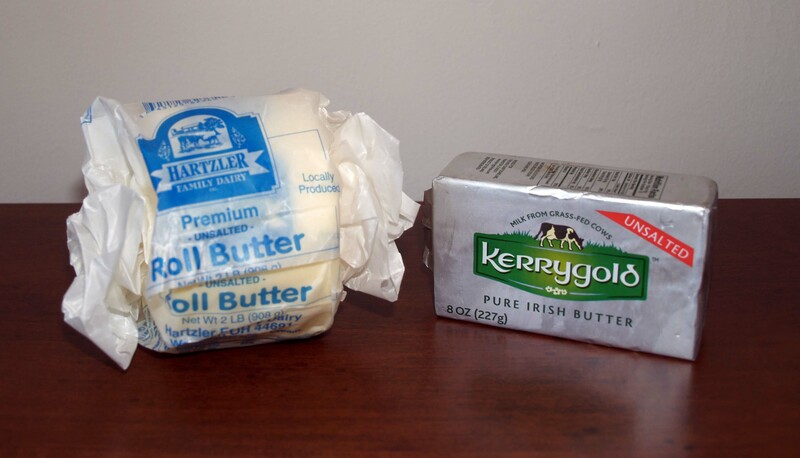 Fresh cream butter vs. Kerrygold: the battle of the expensive, buzzwordy butters. 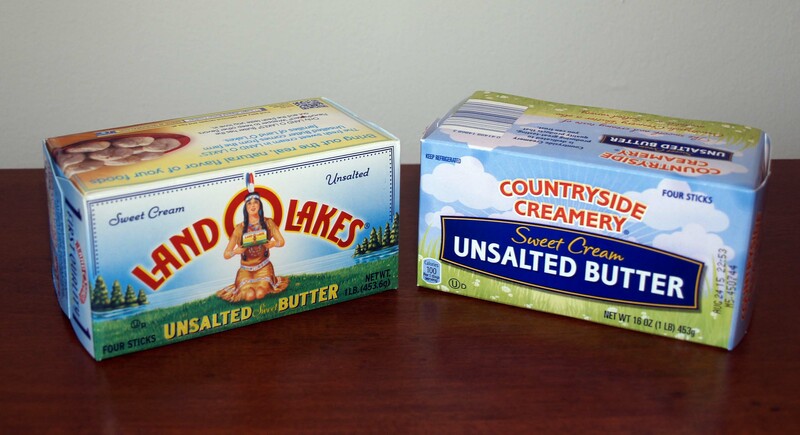 Land O’ Lakes vs. Countryside Creamery (Aldi brand): Battle of the store-bought butters. 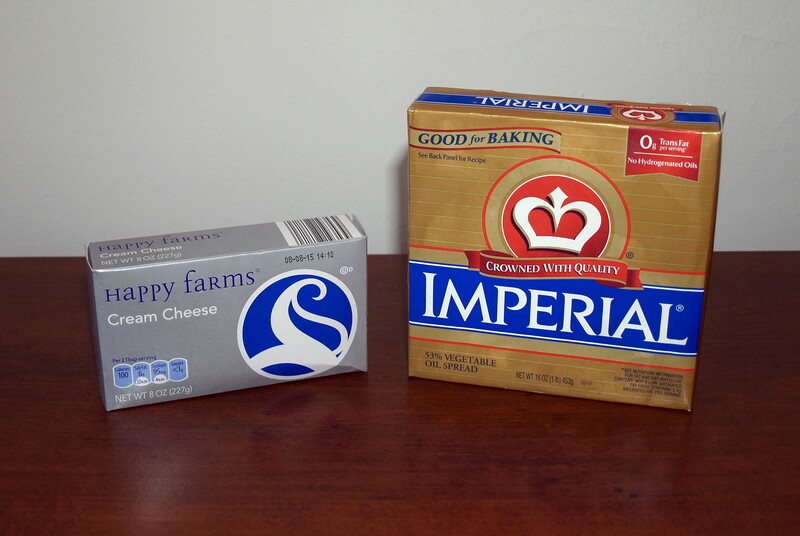 Cream cheese vs. margarine- Battle of the non-butters. After the first round of eliminations, the three winners will face off in the final battle for supremacy. I will confess that I am a firm believer in using the cheapest option when it comes to butter, but I am open to the possibility that there factors other than cost which make an important contribution to cookie making. We shall see if my non-scientific bias is upheld or shattered. Depending on how this experiment goes, I may try it again with pie crust and other baked goods. If you have any suggestions for other types of butter or shortenings, or other things I should try this experiment with, leave them in the comments or e-mail me! Pingback: Upcoming Posts | I Wanna Bake!